National Ravioli Day: March 20 is National Ravioli Day. 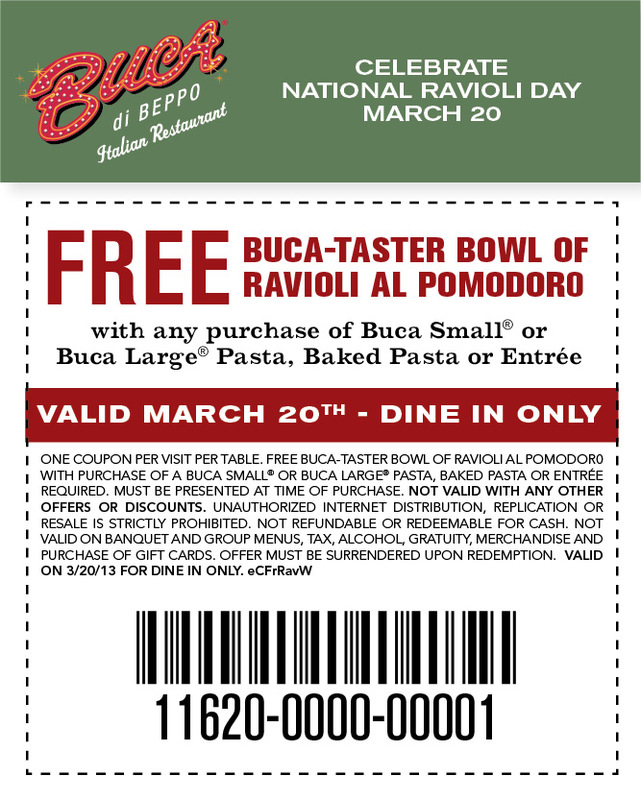 I learned this from an email ad from Buca di Beppo a few days ago. 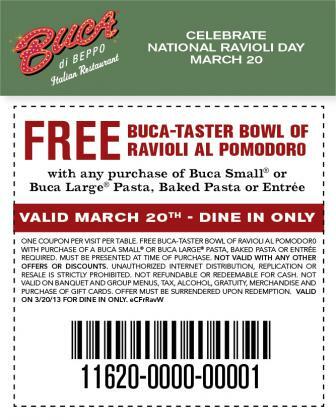 You get a Free Buca-Taster Bowl of Ravioli Al Pomodoro with any purchase of Buca Small or Large Pasta, Baked Pasta, or Entree with the coupon below. Dine-in only on March 20, 2013. 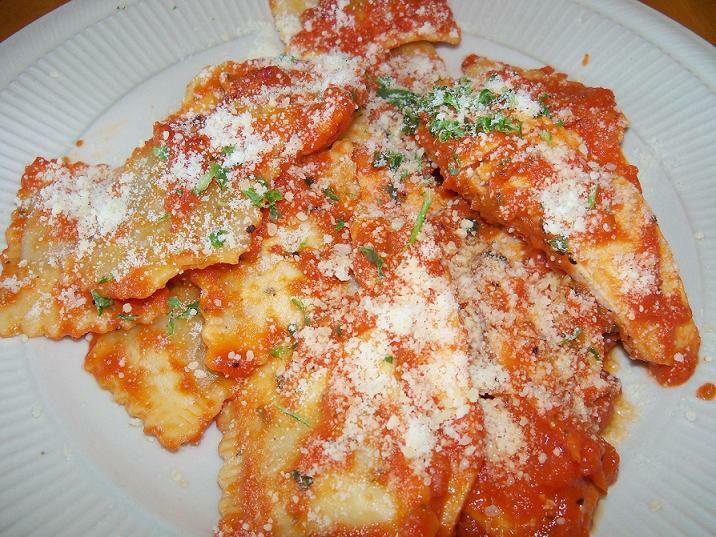 It's a great restaurant for a large group and to share Italian foods. Their salads are served in large bowls, too. Their Large pizzas are huge. If you join their e-Club on their website, they will send you gift cards for your birthdays and anniversary. It's made by Rising Moon and certified organic Butternut Squash Ravioli. 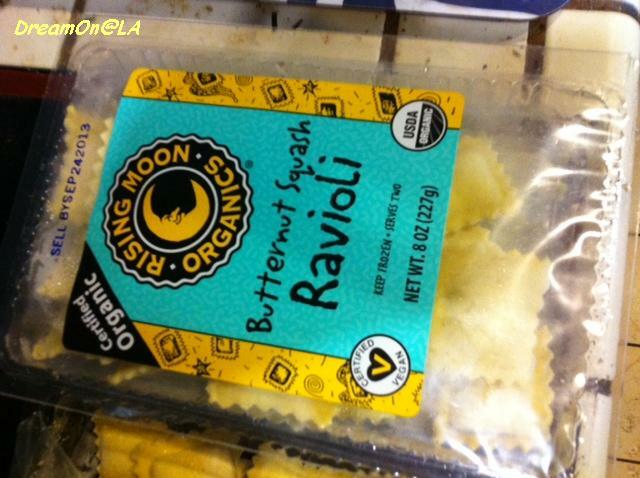 I looked for organic Ravioli without any animal products such as Cheese during lunch time and found this at "Sprouts Market". 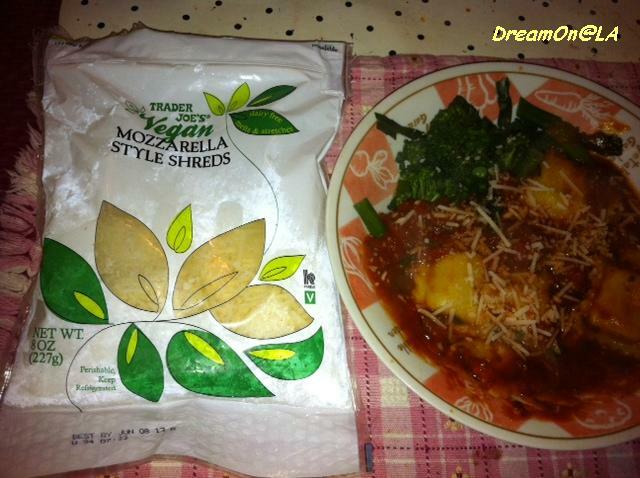 It's made without Cheese, Eggs, Sugar, and animal products. Regular price is $4.49. 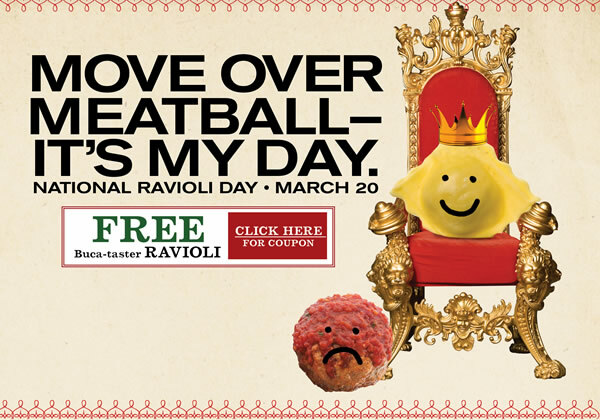 It's on sale at $2.99 now. 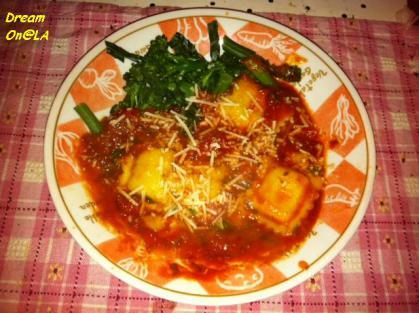 I boiled Ravioli and served with Whole Food's Organic Tomato Pasta Sauce, Brocorrette, Trader Joe's Soy Mozzarella Cheese for Vegan.